This entry was posted in Concerts, Music on June 10, 2018 by Camille. This entry was posted in Music, Videos on October 10, 2017 by Camille. This entry was posted in Videos on April 9, 2017 by Camille. This entry was posted in Music, Videos and tagged Broadway.com, Raise the roof on January 28, 2017 by Camille. This entry was posted in Videos and tagged Broadway.com, Day in the life on January 28, 2017 by Camille. This entry was posted in Theater, Videos and tagged Hamilton, Interview, Theater, Video on September 24, 2016 by Camille. 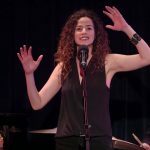 BROADWAYWORLD – Watch Renee Elise Goldsberry Welcome Mandy Gonzalez Back to the Richard Rodgers Theatre! As BroadwayWorld previously reported, Mandy Gonzalez, who created the role of “Nina Rosario” in the Tony Award-winning musical IN THE HEIGHTS and can currently be seen in the hit TV shows “Madam Secretary” and “Quantico,” returns to Broadway on today, September 6 as the brilliant and beautiful Angelica Schuyler in the 11-time Tony Award-winning musical Hamilton. ► Watch as Gonzalez is welcomed back to her In the Heights home by Renee Elise Goldsberry! This entry was posted in Theater on September 16, 2016 by Camille. Mandy Gonzalez, who created the role of Nina Rosario in Lin-Manuel Miranda’s Tony Award-winning musical In the Heights, joins the cast of his hit Broadway musical Hamilton September 6. 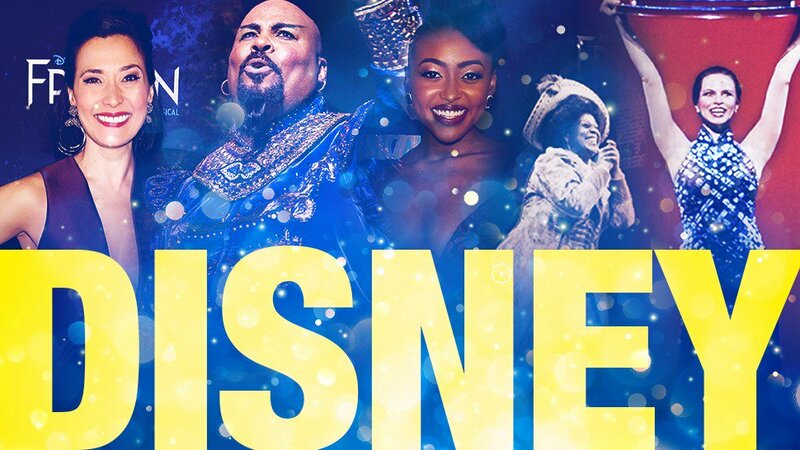 The singing actress, who can currently be seen in the TV shows Madam Secretary and Quantico, succeeds Tony winner Renée Elise Goldsberry in the role of Angelica Schuyler. Goldsberry played her final performance the evening of September 3. BROADWAYWORLD – The Beast is Back- Get to Know New HAMILTON Star, Mandy Gonzalez! As BroadwayWorld previously reported, Mandy Gonzalez, who created the role of “Nina Rosario” in the Tony Award-winning musical IN THE HEIGHTS and can currently be seen in the hit TV shows “Madam Secretary” and “Quantico,” returns to Broadway on Tuesday, September 6 as the brilliant and beautiful Angelica Schuyler in the 11-time Tony Award-winning musical Hamilton. 5 months ago by mandy.gonzalez Wonderful spending the morning with @jimdonovancbs3 @todd_b_ellison @thephillypops . Tune in at 10am on my Facebook live to follow along! 5 months ago by mandy.gonzalez This #GivingTuesday and throughout the holiday season, please donate to one of my favorite charities @GirlBeHeard to provide theatre & social justice advocacy platforms for the next generation of girls, trans and gender nonconforming youth to be heard. Share this post with 5 friends and make an even bigger impact. Thank you! Donation link in bio!